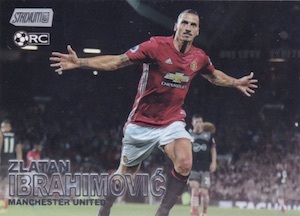 Bringing the popular, photography-driven brand to the EPL, 2016 Topps Stadium Club Premier League Soccer is the debut release for TSC on the pitch. Hobby boxes contain a pair of autographs and several parallels. 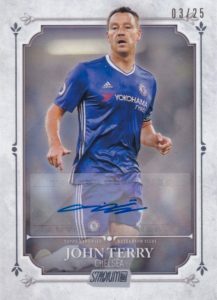 Boasting action images with full-bleed designs, the 2016 Topps Stadium Club Premier League Soccer base set falls in line with other sports where Stadium Club has already made its mark, mirroring the 2016 baseball look. 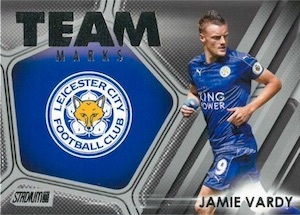 Parallels average seven per hobby box and include Gold Foil, Member's Only, and Premier League Logo. There are also limited base Variations. 2016 Topps Stadium Club Premier League Soccer Autographs come in several forms and combine to drop two per hobby box. Base Autographs work off the main design and feature numbered parallels. A case hit, Dignitary Autographs consist of current and former stars that are exclusive to hobby formats. Co-Signers is an autographed insert many collectors will recognize and it showcases dual signatures for top names. Inserts round out the 2016 Topps Stadium Club Premier League Soccer release with a few options. Contact Sheet makes its way over from the baseball set with a filmstrip design. Golazo uses vivid colors and dramatic celebrations to celebrate scoring plays. Lastly, Team Marks combines a current star with their team crest. Each insert is also found in a variety of parallels. PARALLEL CARDS: Gold Foil, First Day Issue, Member’s Only (Hobby), Premier League Logo. PARALLEL CARDS: Gold Foil #/50, Members Only #/10. 12 cards. 1 per hobby case. 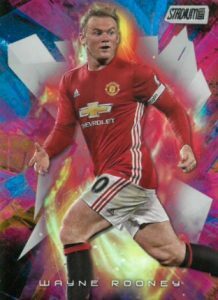 Shop for 2016 Topps Stadium Club Premier League hobby boxes on eBay. Small base set but photos are fantastic. Very simple clean product. Opened one box, completed the base set with only a couple duplicates. Nice amount of inserts and parallels. Going to purchase more soon!